Advertising for the Cruze will feature testimonials from the news media and comparisons with rival compact cars. Chevrolet has tapped actor and comedian Tim Allen to be its voice, beginning with TV advertising for the new Cruze compact. The first ads for the Cruze will air Tuesday, Sept. 7, Chevrolet said today. 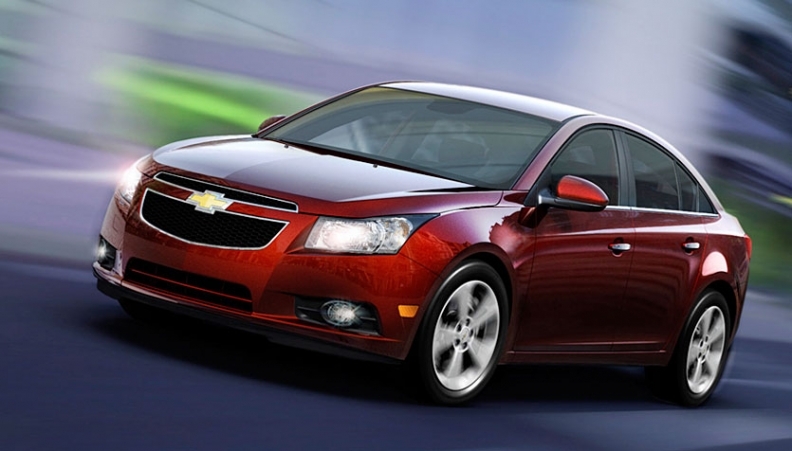 The following day, General Motors Co. plans to begin shipping the Cruze for delivery to U.S. and Canadian markets. The Cruze is being assembled in Lordstown, Ohio. Allen starred in TV's “Home Improvement.” He also starred in The Santa Clause films and as the voice of Buzz Lightyear in the Toy Story movies. He grew up in the Detroit area and has been an automobile enthusiast for years. Chevrolet said Allen's car collection includes a 1996 Chevrolet LT5 Impala SS and a 2000 Cadillac DeVille DTSi. Advertising for the Cruze will feature testimonials from the news media and comparisons with rival compact cars. As part of the introduction, Chevrolet is encouraging dealers to purchase competitive models such as the Toyota Corolla and Honda Civic and allow shoppers to compare the Cruze directly. The initial Cruze ads will be followed by more TV commercials with a large social media component and product placement in relevant shows, Chevrolet said.